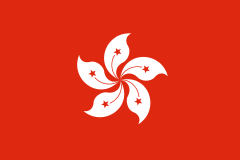 Note that every province (except Hong Kong and Macau, the two special administrative regions) has a Communist Party of China provincial committee (Chinese: 省委; pinyin: shěng wěi), headed by a secretary (Chinese: 书记; pinyin: shūjì). The committee secretary is in effective charge of the province, rather than the nominal governor of the provincial government. 5: Since founding in 1949, the People's Republic of China (PRC) has considered Taiwan to be its 23rd province. However, the PRC has never controlled Taiwan. 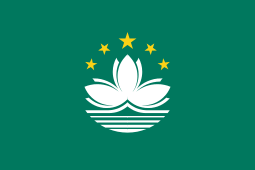 Taiwan (officially the Republic of China) currently administers Taiwan, Penghu, Kinmen and Matsu. The subject of whether or not Taiwan is part of "China" is often debated, with no clear conclusion. 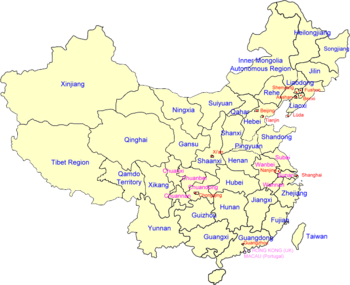 The rulers of China first set up provinces—initially 10 in number—during the Yuan Dynasty (1271–1368) with the addition of the Central Region ruled by the Zhongshu Sheng (中書省) and the Tibetan Plateau ruled by the Bureau of Buddhist and Tibetan Affairs (宣政院). The Ming Dynasty (1368–1644) kept the province system set up by the Yuan Dynasty, however, it divided the original 10 provinces into 15 provinces. 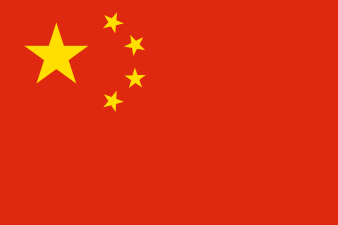 The Republic of China, established in 1912, set up four more provinces in Inner Mongolia and two provinces in historic Tibet, bringing the total to 28. In 1931, Ma Zhongying established Hexi in the northern parts of Gansu but the ROC never acknowledged the province. 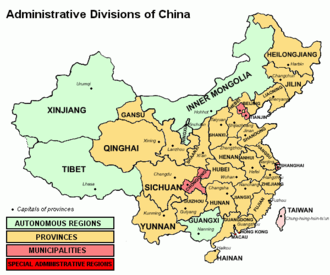 But China lost four provinces with the establishment of the Japanese puppet state of Manchukuo in Manchuria. After the defeat of Japan in World War II in 1945, China re-incorporated Manchuria as 10 provinces, and assumed control of Taiwan as a province. As a result, the Republic of China in 1946 had 35 provinces. 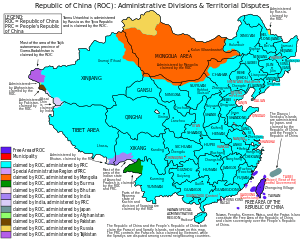 Although the Republic of China now only controls one province (Taiwan), and some islands of a second province (Fujian), it continues to formally claim all 35 provinces (including those that no longer form part of the area of the People's Republic of China).